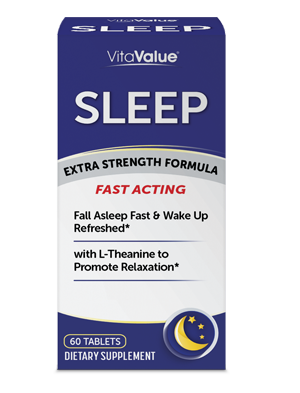 VitaValue® Sleep is specially formulated with Melatonin to promote sleep and L-Theanine to help you relax and fall asleep naturally. * There is nothing more important to your health than good sleep, it helps restore your mind and body, supports your immune system and gives you the energy you need each day to handle life’s demands. * Stop tossing and turning and get restful sleep with VitaValue® Sleep.